QuickBooks and Xero are the two biggest names in cloud accounting software world. Both the software offer payroll functions, invoices, transactions, bank feeds, and more. However, Xero is known to be a more robust accounting solution leading incredibly in terms of popularity gained out of strong accounting, great customer service, access for unlimited users, good invoicing processes, the ability to integrate a bank account, and an impressive feature selection. If you are currently using QuickBooks accounting software program to manage your account books, and thinking about switching from QuickBooks to Xero, then think no more! Just do it with MMC Convert! 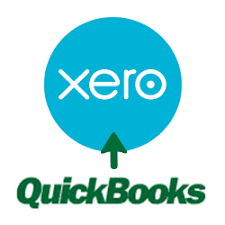 Get ready for the quickest and most convenient data migration from QuickBooks to Xero. With MMC Convert the conversion is just a thought away! We at MMC Convert value your time and understand that time is of essence for any business. Any disruption in operations is a huge loss to the business. 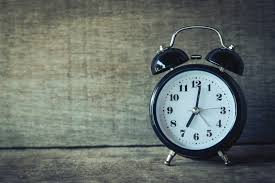 Since we hold extensive experience in converting data across all accounting formats, our turnaround time is very short. We move all your information from QuickBooks to Xero within just 3 working days or less depending on the volume of data and complications. Furthermore, our global experience and clientele has enables us to consistently update our service platform and stay ahead of the curve. This means that we are aware of the challenges our clients are facing when it comes to accounting conversions. Hence, moving to Xero becomes much simpler and quicker with MMC Convert. Clients can also avail MMC Convert’s “Full Transaction” conversion package, a package that helps in converting data from prior to the current fiscal year in a few business hours or days. MMC Convert doesn’t just provide ‘conversion’ of accounting data. It gives you the ability to run comparison between income statements, balance sheets, and cash flow statements for the current year and the previous years. This comparative analysis can be of great importance as it can help identify the changes in income & expenses and the other key accounting areas. We provide conversions for more than two years as well. Learn more here. Being an expert at converting data formats, MMC Convert works effectively to provide you an exact image of your QuickBooks data in Xero. However, due to differences in entry fields of both softwares, there is certain data which can’t be converted directly and needs to be addressed through various workarounds. We try our best to convert non-financial information for our clients as well. However, data precision techniques used in Xero and QB are different, thus creating inconsistencies in rounding as well. Some of the items that we don’t convert are listed as below. We also have a list of workarounds that we implement while converting data from QuickBooks to Xero. Click here to get the details of what exactly we convert, what we don’t and the workarounds. People interested in switching from QuickBooks also read this.